One of the world's biggest mining companies has just shown that it doesn't take a massive corporate scandal for shares to crash. Shares in mining giant Glencore (GLNCY) slumped 29% on Monday, taking its losses for the year to 77%. 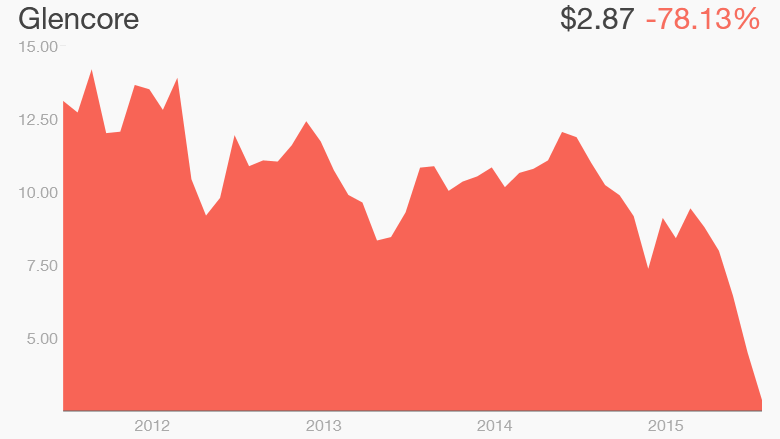 Since the company went public five years ago, it has lost 90% of its stock market value. Glencore, a mining and trading conglomerate, has been crushed by falling prices for commodities and fears that China's slowdown will make matters even worse. "Glencore's been hit hardest by Chinese growth concerns, with that now reinforced by a relentlessly hawkish U.S. Fed that seems desperate to start raising US interest rates before the end of the year, which will not help commodity prices," said Augustin Eden, a research analyst at Accendo Markets. Commodities are traded in dollars. If the dollar strengthens because of higher U.S. rates, prices for metals and other materials may fall further to compensate. Glencore has been struggling because of huge debt it accumulated when commodity markets were booming. It borrowed heavily to pay for its investments. But as prices crashed, the company was forced to use much of its cash to repay debt. That leaves very little for shareholders. Analysts say global commodity prices are unlikely to recover substantially until at least 2018, meaning more pain ahead for the company and its backers. Some are warning that the company's shares could become virtually worthless as a result. Glencore has already been forced to announce a dramatic restructuring earlier this month, including selling assets in order to cut $10 billion off its $30 billion debt. It also announced it will stop paying dividends to its shareholders. Even so, they don't go far enough, say analysts. 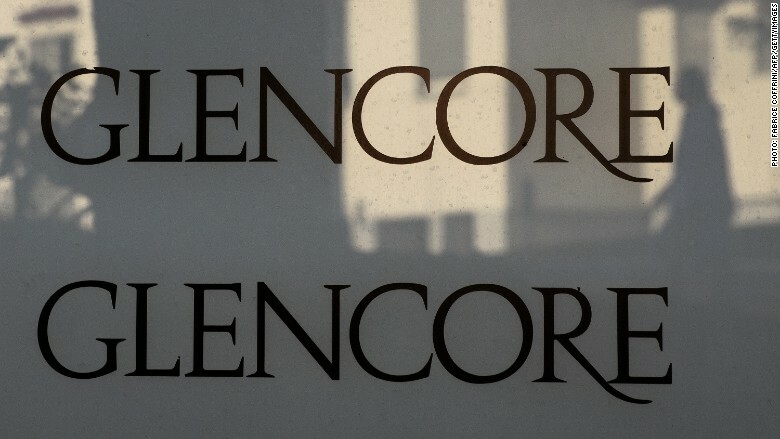 Goldman Sachs called the plans "inadequate," while Investec has warned that "nearly all the equity value of Glencore could evaporate in the absence of substantial restructuring." The Goldman Sachs Commodities Index dropped 38% in 12 months, and the CRB raw industrials spot price index is at its lowest level since November 2009.